The Academy is headed by its Commandant, Capt. Zaki Ahad. Capt. Ahad is a graduate of the 14th batch of Bangladesh Marine Academy. He started his sea-going career with Bangladesh Shipping Corporation in August 1978 as a deck cadet. Gradually rising through the ranks of officers, Capt. Ahad achieved his first command in June 1990 on the newest ship of Bangladesh Shipping Corporation. He obtained all his professional certificates of competency from U.K. He continued in the service of Bangladesh Shipping Corporation till November 1996 and thereafter joined Pacific International Lines of Singapore as a Master in December 1996. Capt. Ahad left sea for good in 2001 after eleven years in command and twenty three years at sea and thereafter took up a career in maritime education and training. 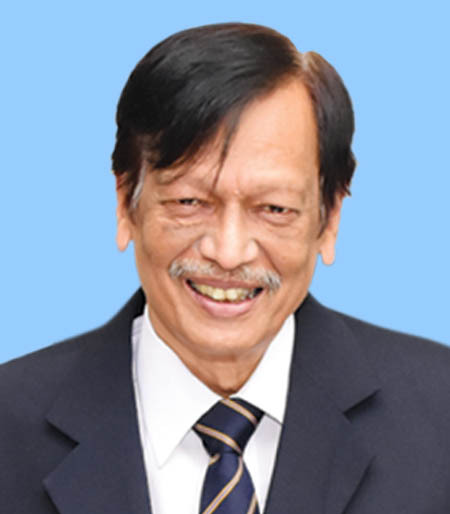 For sometime in 2001 and 2002, he was Principal of International Institute of Maritime Training and finally he landed up as Vice Principal of Bangladesh Maritime Training Institute on 1st April 2002. Since then, he has been in charge of the Dhaka campus. He was promoted to the rank of Principal of Bangladesh Maritime Training Institute in January 2006. In 2008, he was given the additional charge of International Maritime Academy, the pre-sea wing of BMTI. On 1st January 2012, Capt. Ahad was appointed as commandant of International Maritime Academy. Capt. Ahad has been responsible for the installation of first set of maritime training simulators for the private sector in Bangladesh. Capt. Ahad has a number of publications to his name and has been very vocal for the cause of seafaring in Bangladesh, representing the institute and the country at various national, regional and international forum. He has also played a pivotal role in formulating rules and regulations for private sector maritime training institutes in Bangladesh. Capt. Zaki Ahad is a Fellow of the Nautical Institute of UK. He is married and is blessed with two sons.